French campsites have been offering glamping, or luxury camping, for decades so it’s no surprise that the country lays claim to some of the best glamping sites in Europe. From bell tents in the Dordogne to luxury pods in the Alps, and from safari tents in the south of France to tipis on the Atlantic coast, there are as many ways to go glamping as there are incredible destinations to visit. Discover some of the best glamping sites in France here and begin your next adventure by booking online today. Tour vineyards, cycle through the countryside or simply bed down for a night beneath the stars... the Alsace region of eastern France is a haven for glamping and there are few better places to take a holiday in style. Yurts, tipis, safari tents and woodland cabins, the Aquitaine region of France has it all and we've been out investigating to bring you our pick of the very best glamping accommodation in the region. Forests, river valleys, protected parkland and wildlife aplenty, the Auvergne region of France has it all and makes the perfect place for a glamping holiday. Whether it's a family safari tent you're after or a romantic, luxury treehouse, find the best recommended glamping sites here. Catch the ferry to France and go glamping in Brittany with this expertly chosen collection of glamping sites, all picked by the authors of the best-selling Cool Camping France guidebook. Rivers, forests, lakes and plenty of wildlife, the Languedoc-Roussillon region of France has it all and makes for the ideal glamping holiday destination. If you're on the hunt for a night under canvas in Languedoc-Roussillon without bringing your own tent, you'll find the latest luxury escapes here. Going glamping in the Limousin region of France? Discover the greatest glamping in the area with this specially chosen collection from the authors of the best-selling Cool Camping France guidebook. Steeped in history and awash with beautiful beaches, pretty little harbour towns and miles of open countryside, the region of Normandy in North West France is a ready-made glamping destination and the ideal place for a family glamping holiday. From Île d'Oléron and Île de Ré in the west to the River Vienne in the east, the Poitou-Charentes region of France offers everything from beach breaks and woodland escapes to riverside glamping holidays. Riverside, countryside, mountainside, seaside... the Provence Alpes Cote D’Azur region of France has every setting you can imagine and is a Mecca for glamping. Whether it's a bell tent by the beach or a safari tent in the mountains, you're bound to find a glampsite to suit. Discover the Rhône-Alpes in style with an escape beneath the stars at one of these amazing glamping escapes. Tipis, yurts, safari tents, treehouses are more – discover our favourites here. From the UNESCO-protected banks of the River Loire to the historic towns and cities that dot the valley and the endless châteaux to explore, the Loire Valley region of France is a rightfully popular glamping destination. Going glamping in the Midi-Pyrénées? Browse Cool Camping’s carefully curated list of the best campsites in the region and book today at the best price. 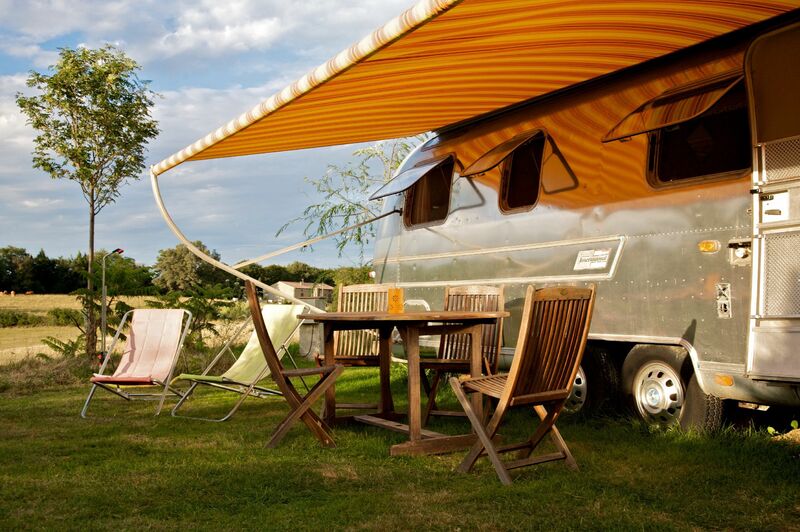 Retro Airstreams, bell tents, yurts - you name it, we’ve got it. After an adult-only camping holiday in France? 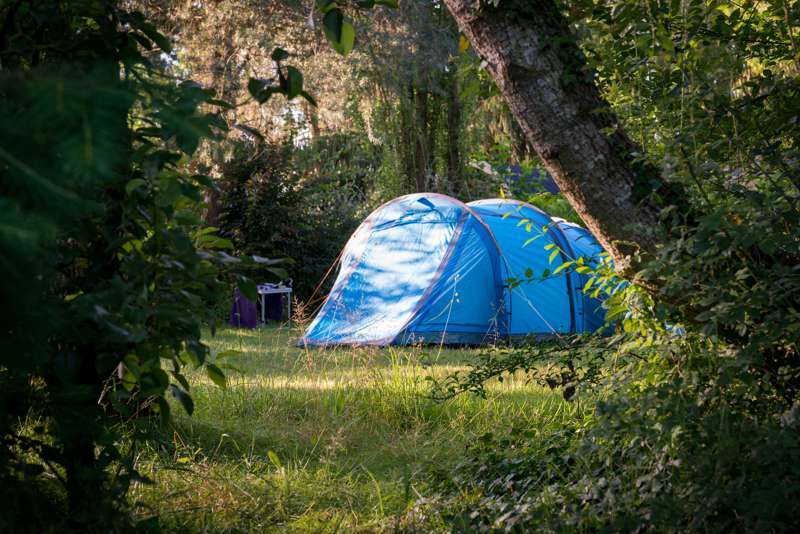 Look no further than this selection of campsites: dog-friendly woodland sites in Dordogne & Lot, caravan-friendly riverside camping in Poitou-Charente, or glamping in Vendée, to name but a few. Read reviews and book online in an instant today. Love glamping in a bell tent? France has an array of bell tent sites for you to camp at, ranging from glamping spots in Limousin and Languedoc, to sites close to Paris. Read on and book at the best price today. There's more to the French Alps than winter skiing holidays. Pull up the campervan and pitch the pop-up tent at this collection of incredible Alpine campsites to discover a world of hiking, biking, fresh French baking and epic mountain views – camping in the French Alps is a holiday you'll never forget and, for the very best places to pitch, you've come to the right place. Camping in the Pyrénées has a lot to offer. Alongside amazing views, you’ll find campsites aplenty, ranging from family-friendly sites to glamping-only camping, mountain view tent spots to caravan pitches. Have a read, see what you find to suit your camping needs. Looking for a campsite in France with good access and specific disabled facilities, the award-winning team at Cool Camping have brought together all of their recommended campsites in France that offer disabled facilities in this carefully selected collection. 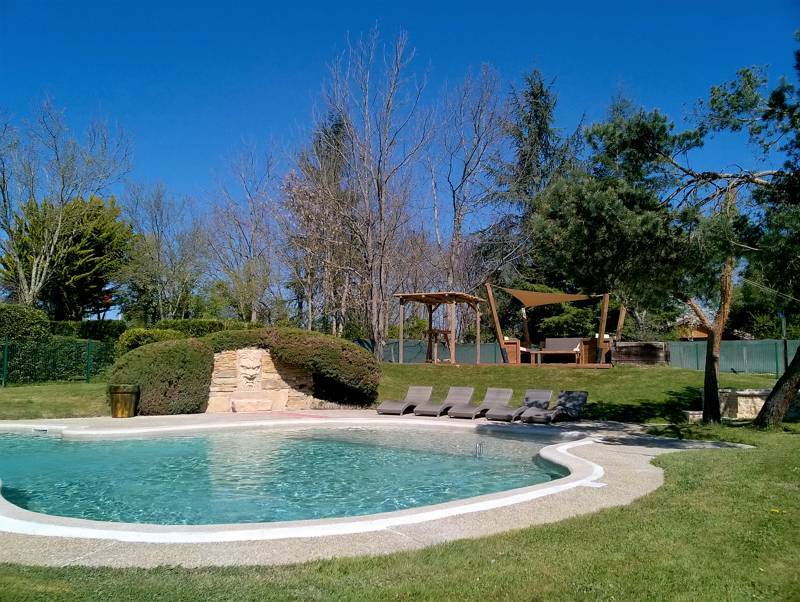 Dive on in and splash around in this collection of French campsites with swimming pools, perfect for water babies. From the Atlantic coast to the alpine hills, discover the best campsites with pools in France. For space, comfort and a bit of modern flare, you can't beat glamping in a geodesic dome, the cooler older cousin of traditional canvas structures and the ultimate place to stay in the great outdoors. Discover the best geo-domes in France today, with this hand-picked collection of favourites from the travel experts at Cool Camping. From Brittany and Normandy to the high Alps and the French Pyrenees, we pick the best family-friendly campsites the Cool Camping way, where our favourites are less about organised entertainment and extensive activity programmes and more about wild space, climbing trees and making the most of a child's natural curiosity. 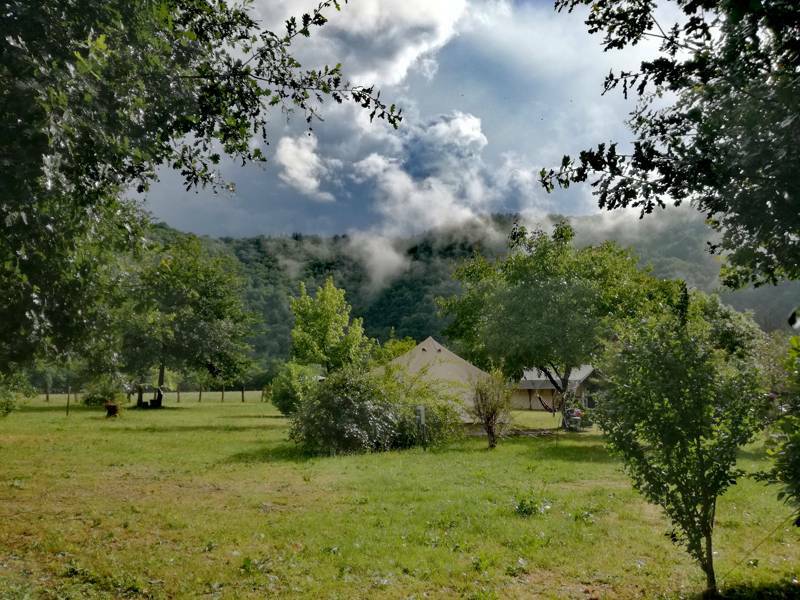 Discover the best small farm campsites in France with this curated collection of special places to pitch your tent on farms around France. Every site has been chosen by the camping experts behind the award winning Cool Camping France guidebook. Glamping, or luxury camping, is extremely popular in France and for good reason. 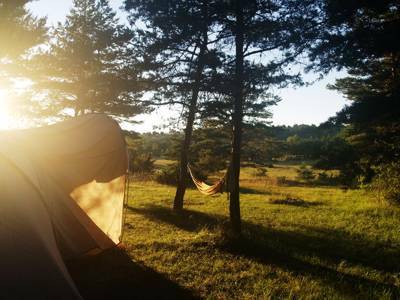 For those flying in to France or simply travelling light, glamping allows you to make the most of the good weather and your time outdoors without the faff of packing a tent. There are tonnes of fantastic glamping options in France, from classic chalets in the south of France and the safari-style tents that French sites are famous for to modern treehouses, on-trend tipis and spacious geodesic domes. Here at Cool Camping we try to recommend only the very best glamping sites and are confident that our collection represents some of the top glamping sites in France. If you're planning a glamping holiday in France, whether it’s to the mountains, coast or the glorious river valleys of the countryside, there'll be a French site to suit your needs. With a range of prices and varied levels of luxury, if you’re looking to go glamping in France you've come to the right place. So, you’ve decided to go glamping… now you just have the agonising choice of which type of glamping accommodation to go for. Should you choose a simple bell tent stay or would you be better off in a cabin with all mod cons? 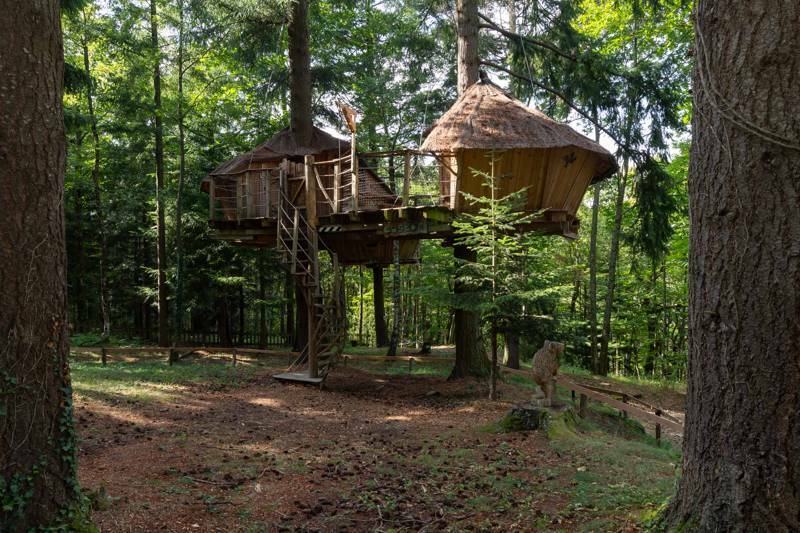 Would your kids like the novelty of a treehouse or the cutesy charm of a French roulotte? If you’re a seasoned camper or glamper you might already have an idea of what makes the ideal glamping getaway for you and your family but for first-time glampers the choice can be overwhelming. Fear not though, the Cool Camping team have tried all the glamping options out there so we’re in a perfect position to give the low down on when a bell tent is best, when a safari tent is suitable and when a tipi is tip-top. Bell tents tend to be the closest to traditional camping that you will find on today’s glamping scene. These traditionally-shaped tents provide you with canvas cover and are usually just set up as a single room. Depending on their size, they tend to be just right for a couple of a family of up to four – though bell tents larger than five metres can usually accommodate more. They are perfect in warm weather so make great places to stay in the summer months. Tipis offer a similar vibe with a traditional shape that’s even more Instagram friendly! Safari tents and other pre-pitched tents also make great summer options with canvas walls and a canvas roof providing breathable shelter and shade. Usually in the shape of a house in miniature, these types of tent offer more standing space and often have separate canvas rooms too. There’s often space for parents and kids to have their own sleeping space and a dining room and kitchenette. On many French sites these will be set up with electric hook-up and a fridge perfect for keeping drinks cool in the heat of the summer. If you just can’t live without a place to plug in a hair dryer and appreciate the convenience of a fridge, oven and solid roof over your head, a cabin or chalet on a camping or glamping site might be the best option. By staying on a camping or glamping site, you can share the great facilities, sociable atmosphere and outdoor lifestyle of a campsite with all the things you’re used to at home in miniature. Traditional French roulottes or gypsy caravans offer a bit more charm than a standard chalet if you’re looking for something a little different and treehouses, or chalets on stilts, can give you a bird’s eye view of the surroundings. These more sturdy options tend to extend the camping season too, so if you’re planning a spring, autumn or even winter holiday, these can be a good bet. Look out for places with wood-burning stoves if you want to keep things really toasty! The popularity of camping in France means that there are some huge and sometimes impersonal campsites out there: places where you can expect row upon row of static homes and motorhomes parked up in neat rows. These are not the sort of places that the Cool Camping team tends to look out for so we generally steer clear of the big-name campsites but an exception to the rule are Huttopia campsites. Although Huttopia has a large number of sites across the country and tends to cater for campers, glampers and caravanners in larger numbers, we think the company has managed to do so sympathetically. Huttopia sites retain the ethos of traditional camping with accommodation and facilities designed to blend in with the natural surroundings. Each site is different but they tend to offer glamping in safari-style tents, roulottes and wooden cabins as well as places to pitch your own tent. France is a great destination for a family glamping holiday combining the excitement of glamping with travelling abroad. 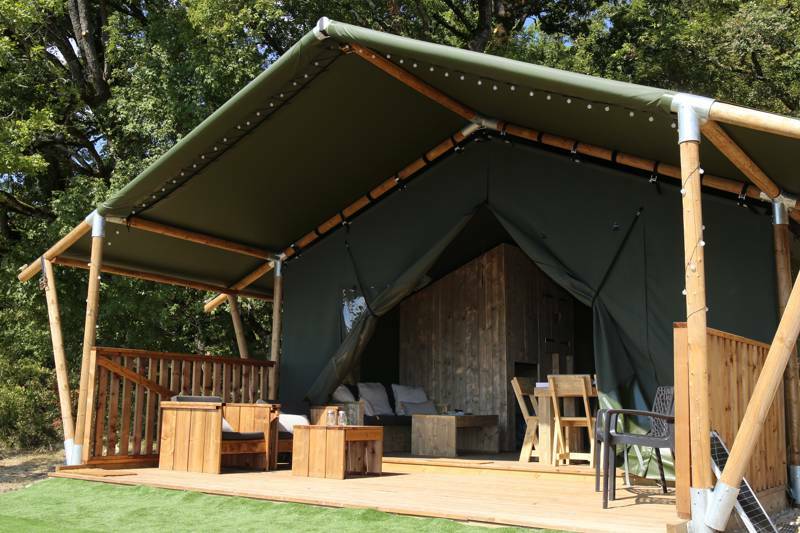 Easily reached from the south of England, France is the closest place to go glamping outside of the UK and Ireland making it a reasonably affordable option for many. You can travel across the Channel by ferry or via the Channel Tunnel, taking away the hassle and often higher expense of flying. With better, more reliable weather, higher mountains, miles of beaches, fascinating towns and villages and delicious food and drink – France is a tempting destination for a holiday of any sort and camping and glamping really make the most of the scenery and weather. For families, life on a French camping or glamping site is great as facilities and services have often been designed with kids in mind. 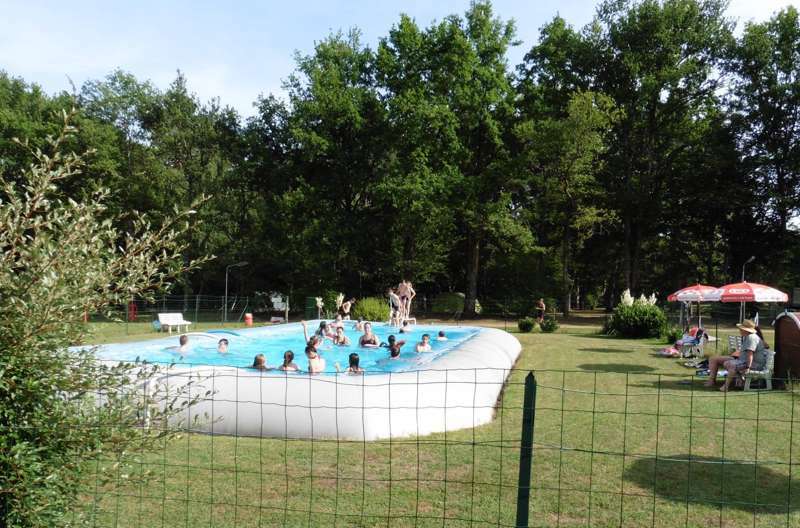 Many French campsites have a swimming pool and most have table tennis tables and a kids’ playground too. Often the sports facilities extend far beyond this and it’s not uncommon to have tennis and volleyball courts too. During the summer, larger sites may well have a kids’ club and activities which give children the chance to meet other campers of the same age and keep them entertained. Even if you go glamping on a site which does not have organised activities and entertainment for younger campers, you’re likely to find that children will love glamping anyway: the novelty of staying in a tent or cabin with pint-size proportions; exploring new destinations; the outdoor lifestyle. Glamping is not just for people with kids though and can make for a perfect romantic trip too. There’s something undeniably romantic about getting cosy under canvas or in a little wooden cabin in the woods that makes it perfect for couples. Glamping accommodation on camping and glamping sites tends to give a degree more privacy than pitching your own tent; you can tuck yourselves away and stay up or get up late undisturbed by other campers. Candlelight and campfires set the scene for romantic evenings and a great meal with fabulous French produce washed down with a glass of wine or Champagne can add to the appeal. You can choose a glamping site that’s adults-only if you fancy peace and quiet, a place with a hot tub if you fancy a soak under the stars or a small site with just a few tents or chalets for seclusion. If you’re travelling without children, it’s a great idea to go outside of school holidays when prices tend to be lower and roads, ferries and glamping sites are less crowded. The long and beautiful rocky coastline of Brittany, the sandy beaches of Normandy and the beauty of the Loire Valley – all these world-class destinations can be found in northern France. These regions are some of the easiest parts of France to reach from the UK but are also among the most beautiful. A short hop across the Channel and you can be glamping in northern France; saying bonjour to historic sites, beautiful beaches and fascinating towns and villages. There’s no shortage of glamping sites to choose from in this region either so you can base yourself in a bell tent with a view of the sea in Brittany and take time to explore its craggy coastline and scenically situated lighthouses or choose a cabin in Normandy to visit medieval Mont St Michel and Monet’s garden at Giverny. There are some great glamping sites in the Loire Valley which are brilliant bases from which to explore the famous chateaux of this UNESCO-protected region and there are even glamping sites within easy reach of Paris too. From Brittany to Biarritz, France’s Atlantic coast is wilder, less built up and less busy than the Med. It’s also usually easier to reach – depending on your exact destination, of course. The waters can be choppier here but if you want to surf, windsurf or kitesurf, the west coast of France is your best bet. Down south, around Biarritz is a surfer’s paradise and there are laid-back beach retreats with handy connections to watersports companies. A little further north there are more extreme sports opportunities at the Dune du Pilat where you can paraglide from Europe’s largest sand dune. For those who prefer a little less adrenaline, the area is also great for birdwatching and nearby Arcachon is known for its oysters. In fact, all along the Atlantic coast, you’ll be spoilt for choice if you enjoy seafood and fresh fish. Sandy islands like the Île de Ré and the pine-backed beaches which line this coast make idyllic settings for lazy beach-based holidays too. With a similar-sized population to the UK but a lot more space, it’s no surprise that you can really feel like you’re getting away from it all when you’re glamping in the Dordogne and rural France. Rustic farmsteads, miles of countryside, forests and beautiful rivers characterise the Dordogne and the surrounding regions. Historic towns and villages abound and a trip to town when the local market is on makes for a great day out as the food and drink in this region is top notch. Truffles, walnuts and goats cheese are among the highlights that foodies rave about and are plentiful on restaurant menus. There are chateaux aplenty in the Dordogne and rural France and a lot of geological wonders too. Plenty of caves are open as tourist attractions with the best of them in the UNESCO-protected Vézère Valley where the 147 prehistoric sites include the Lascaux Caves. If you fancy glamping in the mountains in France, you’re spoilt for choice. The country has an abundance of peaks to choose from with the mightiest of these forming natural boundaries with neighbouring countries to the south west and east. The Pyrenees are the country’s second highest mountain range, running along the border with Spain. With GR walking routes and the famous Santiago de Compostela pilgrimage route crossing the range, it’s no surprise that it's perfect hiking country. Glamping in the Pyrenees can offer spectacular views and a comfortable base from which to head out in to the hills whether you fancy taking on some of those walks or trying your hand at climbing, canoeing or white-water rafting. On the other side of the country, are the French Alps, Europe’s highest mountain range which extends into neighbouring Switzerland and Italy. Choose glamping in the Alps and you can expect more jaw-dropping backgrounds. Snow-capped peaks, crystal clear lakes, Alpine wildflowers and fresh mountain air are in abundance and with the best ski-ing in Europe it’s a year-round destination. Crowds of Europeans head for the sparkling shores of the south of France every year and it’s easy to see why. The sheltered beaches of the Mediterranean are hard to beat and the hinterland has treasures all of its own: fields of lavender, sunflowers, vineyards and eucalyptus. Provence, the French Riviera and the Cote D’Azur… each is a classic holiday destination with a charm that’s been attracting holidaymakers since the days of the Grand European Tour. There are elegant resorts, places that are full of glamour and glitz and a lot of campsites. In true Cool Camping style, we steer clear of the big boys on the French camping scene and look for camping and glamping sites that have a little more charm and a certain je ne sais quoi. Glamping in France, Glampsites in France, French glamping, French glampsites, French glamping sites, Luxury camping in France, luxury campsites in France, glamping, luxury camping at Glamping in France, Discover the greatest glamping sites in France, from the Atlantic coast and beaches of the Med, to the high peaks of the Pyrénées and the snow-capped alps. Cool Camping select the very best glamping sites in the country. Book them all here at the best price.